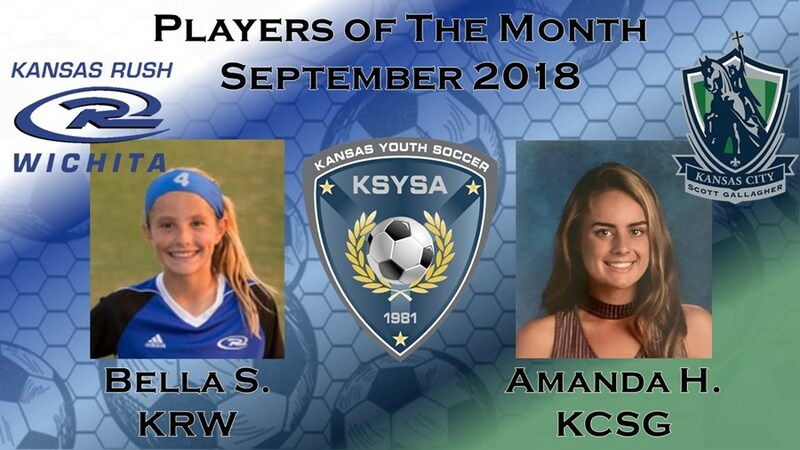 Each month, we will be recognizing one male and one female Kansas Youth Soccer Player of the Month, whose accomplishments on and off the field stick out among the rest. The players who are selected will represent a balance of athletic achievement, sportsmanship and citizenship. While great performances in the game of soccer are appreciated, it's important to note that accomplishments off the field are valued just as much as those achieved on the field. Most Memorable Soccer Experience: USWNT Tournament of Nations game!! I will never forget the opportunity when I got a few autographs from some of my favorite USWNT players and I even got to meet Graham Zusi and Matt Besler!!! Soccer Achievements: (2018) New York Cup Champions, Florida Elite Invitational Champions, Heartland Midwest Classic Champions; Committing to play D1 college soccer for the amazing UMKC ROOS!! Most Memorable Soccer Experience: Snacks and juice boxes after games when I was little, scoring from midfield when I was 10 years old. Becoming a KSYSA Soccer Referee and doing my first middle. Community Service: I have volunteered at the Kansas Missions of Mercy which provides free dental services to the residents of Kansas. I also enjoy assisting with Backyard Baseball, a nonprofit which allows recreational baseball players to play ball "sand lot" style regardless of their level of experience. 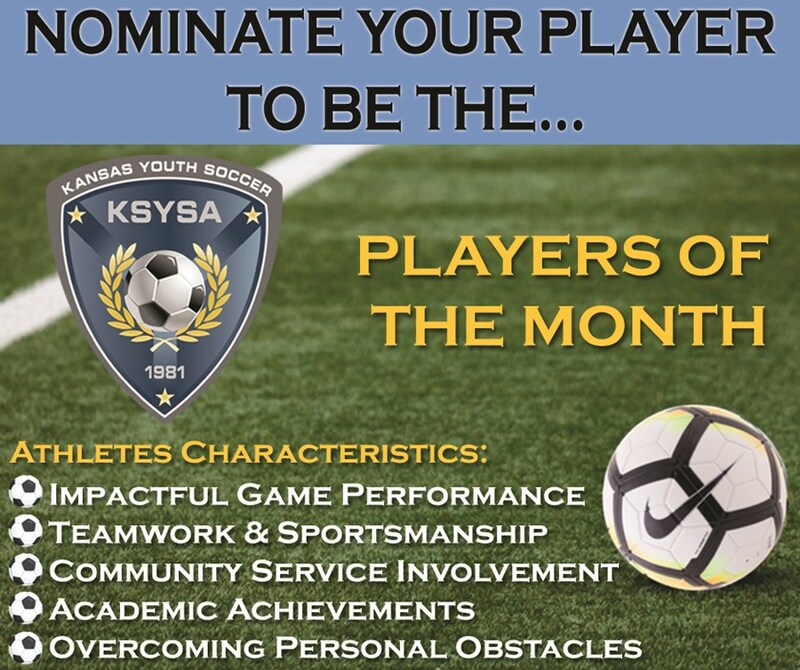 To nominate a player for Players of the Month please CLICK BELOW!